The SouthWest Skill Center (SWSC) at Estrella Mountain Community College (EMCC) celebrated the accomplishments of 111 students at their Completion Ceremony on Friday, March 2, 2012 in the Ceremonial Plaza at the Estrella Mountain campus, located at Thomas and Dysart roads in Avondale. The ceremony honored and recognized students completing their programs in Practical Nursing, Nursing Assistant, Medical Assistant, Phlebotomy, Spanish Medical Interpreter, Emergency Medical Technician (EMT), and Medical Billing and Coding. The Southwest Skill Center also offers programs in Distribution Logistics Technician and Maintenance Technician. 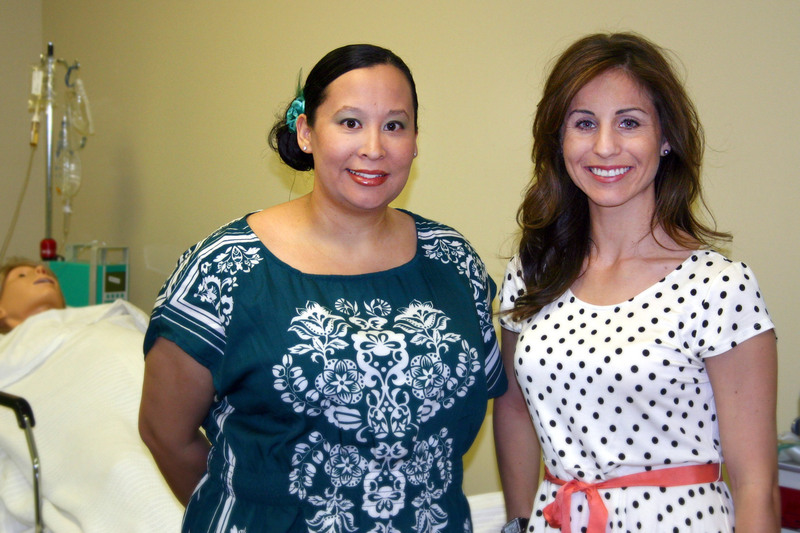 Two students were selected to speak at the Spring Completion Ceremony. Jennifer Vayda represented the eighteen students successfully completing the Professional Nursing (PN) program, and Kimberly Salem was one of thirteen students completing the Medical Assistant (MA) program. Nursing student Jennifer Vayda graduated from Barry Goldwater High School and then received her Bachelor of Science degree in Global Business from Arizona State University. After working in the business world for several years, Vayda realized her interest in healthcare. “Now that I have my PN, I want to continue my studies and become an RN (Registered Nurse) specializing in critical care, then eventually transition into hospital administration that utilizes all of my education and skills,” said Vayda. Since 1999, the SouthWest Skill Center has offered short-term job training and career development, specializing in allied health careers. SWSC students completing the PN program have an impressive 90 percent first-time pass rate on the exam leading to LPN (Licensed Practical Nurse) designation. For students continuing into the EMCC Registered Nurse transfer program, there is an 84 percent pass rate for the exam leading to their RN license. The Center has been acclaimed for its active learning in a highly technological environment, such as the simulation lab which creates a practicum patient experience for students. Estrella Mountain Community College (EMCC) offers transfer-ready academic courses and job-specific occupational training to approximately 15,000 students annually. The flagship campus is located on Thomas and Dysart Roads in Avondale and the EMCC Buckeye Educational Center is located in downtown Buckeye. Estrella Mountain is part of the Maricopa County Community College District, one of the largest community college districts in the nation. www.estrellamountain.edu or www.maricopa.edu .